When you want something better than an off-the-shelf system, or a customized name brand option for your home or office, Computer Corner has the solution. Our custom built PCs and laptops can give you the serious power that only a custom built machine can offer, at prices that rival even big box stores. For gaming, we offer systems with unprecedented gaming power and iconic, innovative design; for video editing and graphic design, we build workstations with custom graphics cards to accelerate the editing and rendering processes. For users who simply want the perfect balance of speed, performance, memory and functionality, we custom build systems to meet each unique need. The advantages to purchasing a custom built computer from Computer Corner are the selection, quality of parts, and knowing exactly what you are getting. Most computer systems come pre-built with the specifications and components already selected for you, leaving you with little to no knowledge of the actual brand, model or full specifications. Additionally most people are aware that with pre-built systems, two of the exact same model computer can actually have very different parts. 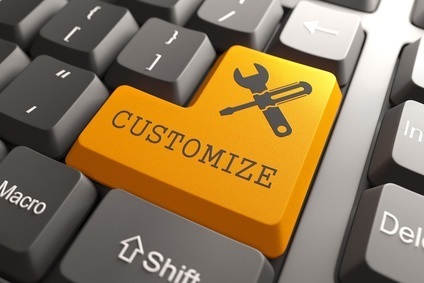 By purchasing a custom built computer from Computer Corner, you are able to choose the parts that best match the computer system you desire. Whether you are a serious gamer, video editor, graphic designer, music enthusiast, writer, or all around savvy user, Computer Corner's custom computer options are guaranteed to have system options to meet your specific needs. Please contact Computer Corner at (352) 460-1155 or use our online form to let us know how we can assist you with custom computer building services.